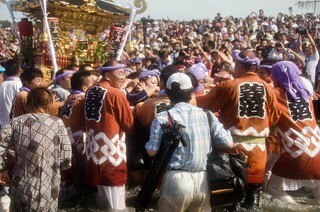 Hamaorisai Festival is one of the most anticipated festivals in Japan as it signals the start of the summer season. The ceremony begins before the sun rises and ends around 9 am. I stayed at my friend's place the night before, took the first train and still arrived late (and even thought of missing the main event). 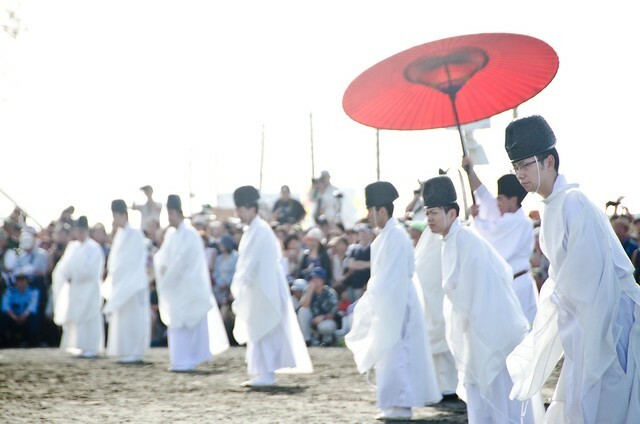 I and a group of friends joined the hundreds of Japanese and foreigners who troop down to Chigasaki Beach to be a part of the sacred spectacle. 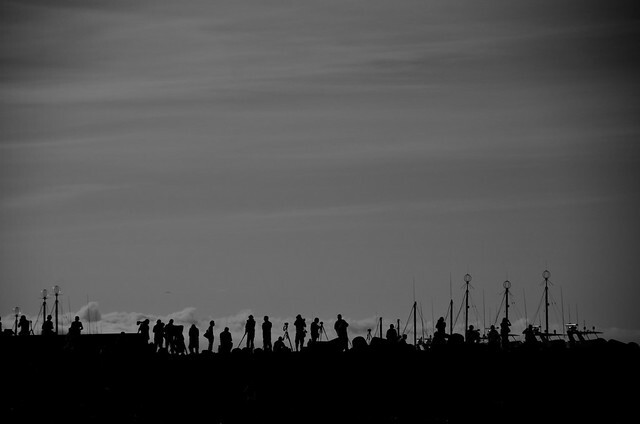 Just before the sun summons its rays, spectators, hobbyists and photographers already position themselves to decent spots to capture and document the said event. No one cared how hot the sun breathing was. Everyone wants to have a clear view of the event as it unfolds. 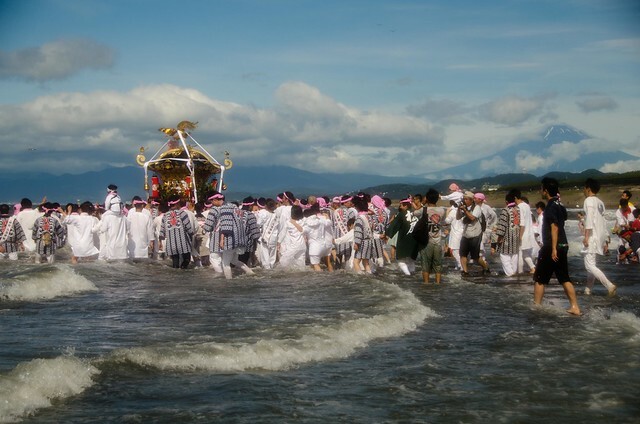 Before the mikoshis (portable shrines) are carried to the ocean by the devotees, a ritual was held to sanctify all the participants for a good and prosperous year to come. Though I didn't understand the entirety of the ceremony, it was in Japanese, I can certainly feel its purpose and intent. 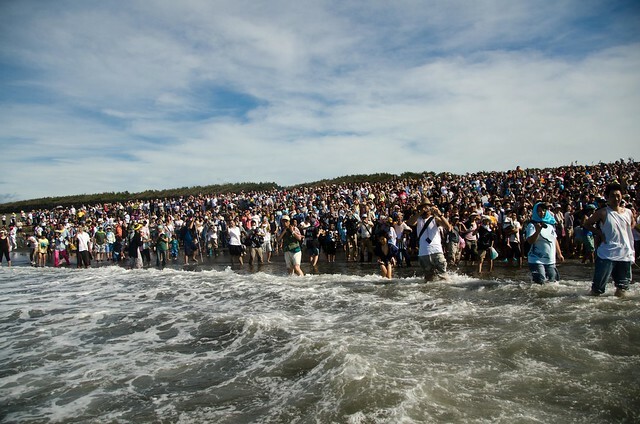 After receiving the well deserved blessings, devotees carried their mikoshis to the sea, a way of purification. It looks so easy in the photos but it takes strength, determination and patience to successfully challenge the weight as well as the waves that are coming along the way. But despite of the physical difficulties and struggles, each face of the disciple exudes an aura of contentment and of joy. And it must be noted the children let their presence felt too. Though they only stay at near shore they are still proofs that tradition and customs are not always about age and generation. As a foreigner living in Japan, it was a very interesting and enriching experience for me. 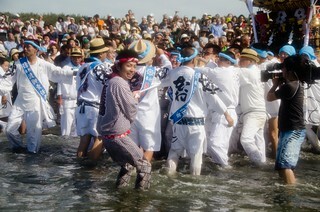 Hamaorisai Festival is one of the festivals that I will be looking forward from now on. And to all the devotees, much respect to all of you. A well deserved rest is what you all need. Wishing everyone a fruitful year ahead. wow!! amazing!! too many people!! How amazing, all the different ways that people around world welcome summer : ), great pictures as ever of course! Thanks Hannah! It's crazy here! 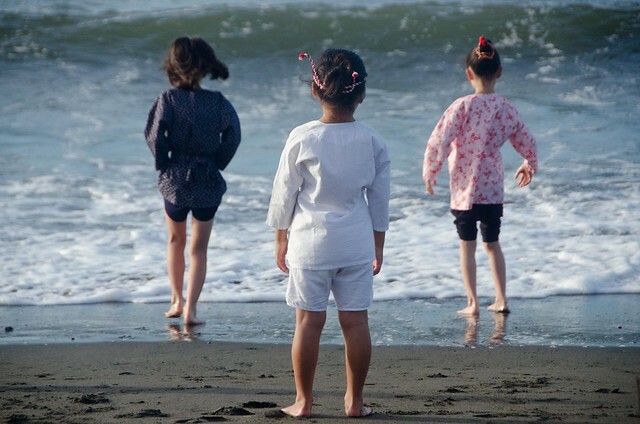 Japanese love summer! ako din! last photo fave! The last photo speaks so well of a very relaxing rest, John. I love experiences like this involving other cultures, i am glad you were able to bring yourself to the event. What a great record of this particular event. The customs and rituals of our lives should be recorded and preserved as we are tending to be turned into boring sameness with multiculturalism thus losing important traditions. Agree. It should be continued so that new generation can still understand the traditions practiced by their ancestors. 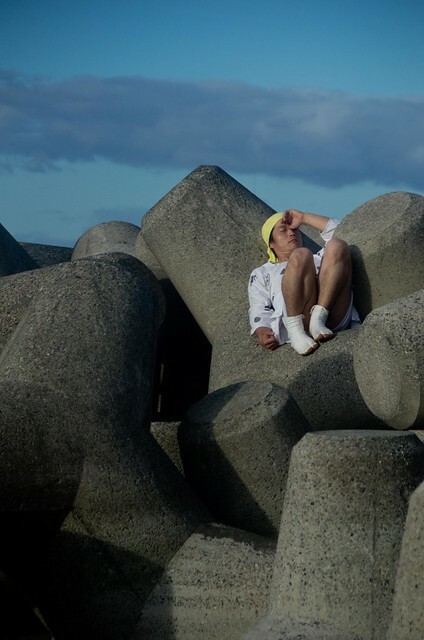 Thank you for taking us along to the festival through your pictures and words... fascinating! Ocean indeed holds so many treasures.. well said..and well done.. Such a fascinating ritual. And where it involves the ocean it is all the more significant to see. Great write totomai! Looks like a beautiful celebration of the season! I had no idea aabout that festival- now I do! Thank you for the enlightenment--- and I love the last 3 photos! Fantastic! Thanks Patti! It's my first time to experience this kind of festival too. Thanks Teuvo :-) Thanks for visiting, I'll be checking your blog site too.